It all came about very quickly in fact and somewhat unexpected but when things fall into line, and there is a cosmic kismet in the air, don’t you just have to go along with it? We did. In the space of three weeks, we polished our timber floors, painted all the skirting boards, finished the rock work at the driveway entrance, repaired chipped tiles and overhauled the garden. Actually, my husband did all of that. :) I packed the house. And cleaned. I don’t mind cleaning. It is kind of therapeutic, getting out the jif and sponges and wipes and vinegar, scrubbing the laminate and tiles and walls. It’s one job where the reward is instant. Kind of a shame that all that work goes to someone else. Our old neighbours did a big cross-the-road move, shifting their stuff and their dogs over to our house when the one they were living in did sell. And now ours too is on the market. Fingers crossed it sells soon!! The best thing about it is the hop, skip and jump to the beach. Just a bike ride away. I haven’t lived this close to the beach for almost 7 years and I’m so so so glad to be back. On moving day, coming over the river and spotting the blue seas out yonder, I sang, yes sang, to the water in the distance. ”Hello, Beach. Yes, I’m back. I’m so happy to see you.” Joy. Joy. Joy. Now, I just need my own bike and a bike seat for Ned. We’re working on it. There are only two challenges that come with living here. The first is the fact that the dress code is Very Very Casual. I’m making a point of putting on my raisin-coloured lippy every morning and flinging a string of red plastic beads that I picked up in a local op shop for 30 cents around my neck. They are my funky secret weapon. I bought a few inexpensive white canvases on timber frames from a cheap and cheerful shop a few weeks ago. Out they came. Along with a pair of sharp dressmaking scissors and my pile of coloured pieces of felt. Want to see what I did? You might like to join in too. 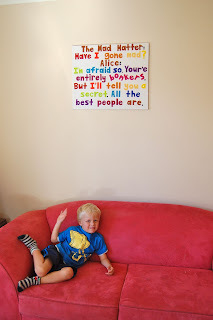 How to make your very own Felt on Canvas Wall Art. First, choose a favourite quote. 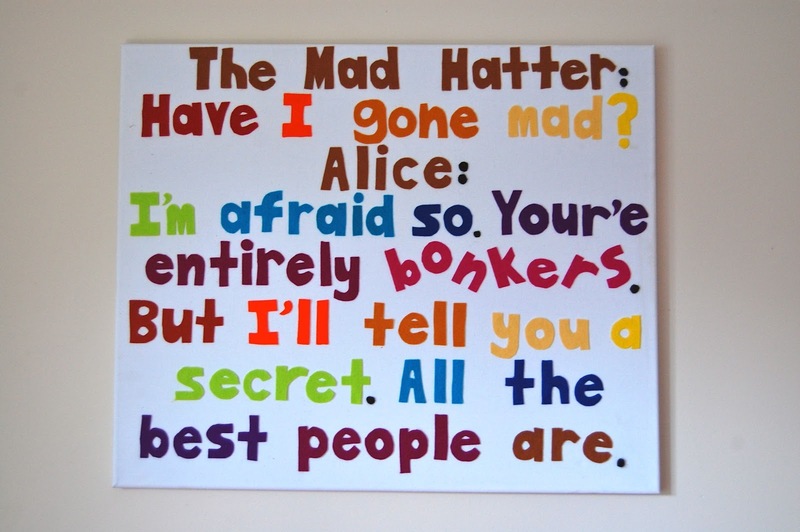 This is one I love from Alice In Wonderland. 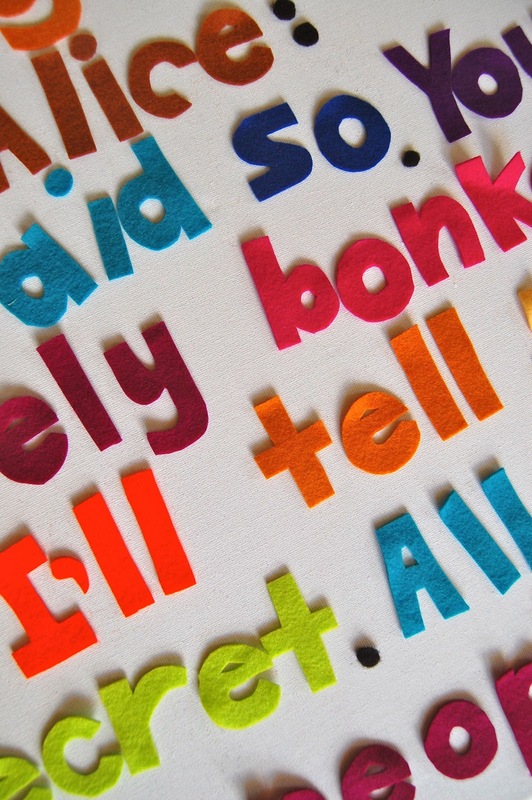 We’re making quote wall art here today, but you might later be inspired to do all kinds of pictures from felt. Highlight the font size and type in 150. This size is perfect for making a stencil or copying the size free hand. 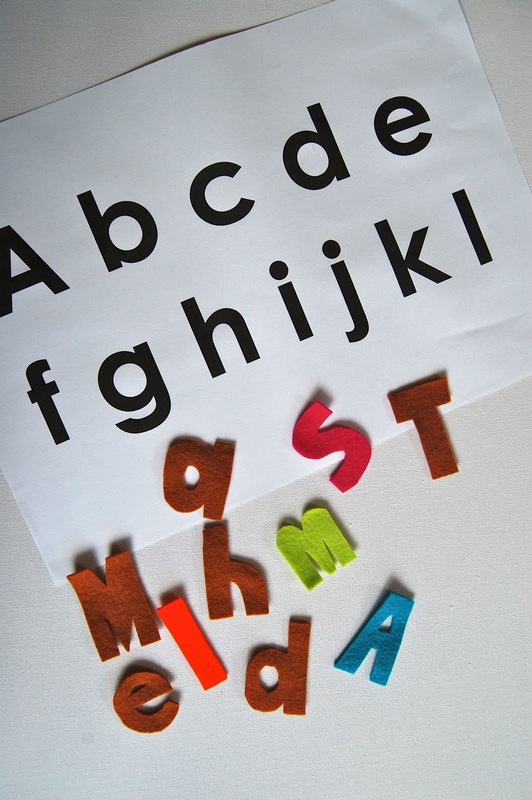 You can choose to type each letter of the alphabet on your word doc, or only the letters you find in your quote. Save it and print it off in black ink. 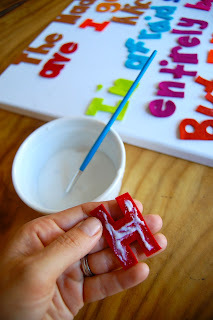 I use felt a lot and am happy to cut out the letters freehand using the stencil for a guide. 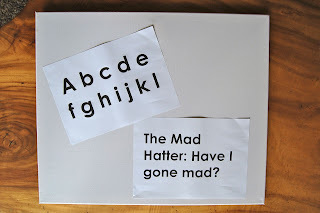 But if cutting freehand makes you nervous, simply glue the sheet of letters onto a piece of thin cardboard. 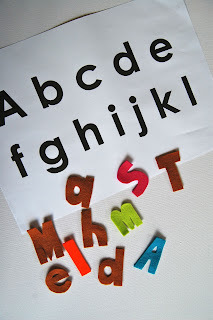 Let the glue dry then cut out each letter to make a stencil for your felt. Trace around each letter on your chosen felt colour as you need it and cut to size. 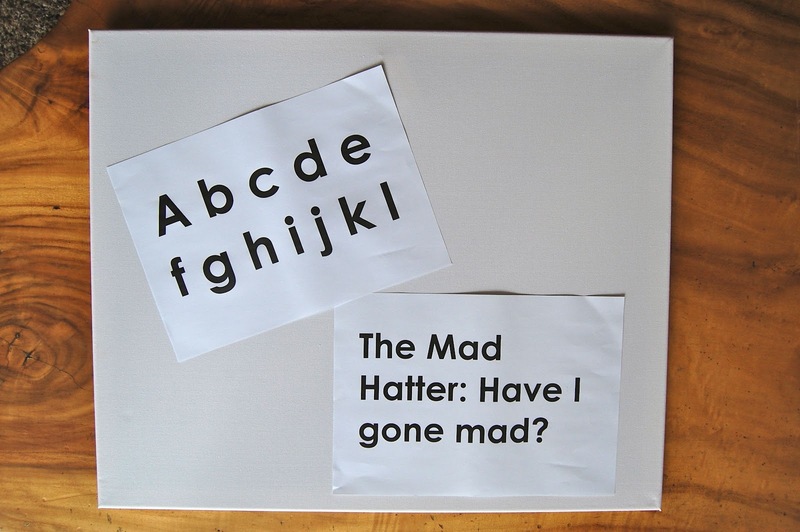 As you cut out each letter, place them on your canvas board. Be sure to keep windows and doors shut or risk blowing the lot away. (Lesson learned the hard way.) 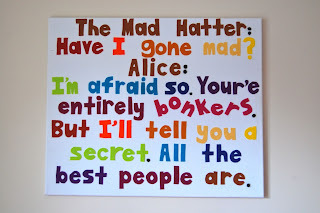 When all your letters are ready, make adjustments to the canvas to make sure your art appeals to the eye. Fill a small bowl with some white PVA or craft glue. Use a small paintbrush to dab a drop of glue onto the back of each letter, then press it firmly onto your canvas. Continue until you are all done. There you have it. Felt on Canvas Wall art. Sure to be a talking point. PS: Thank you to my mum who spotted my unbelievable grammatical error. Can you see it? The apostrophe is now moved. As someone who prides themselves on being a good speller, I’m slightly mortified I missed this! What will your Felt on Canvas Wall Art say? The greatest oak was once a little nut who held it’s ground!